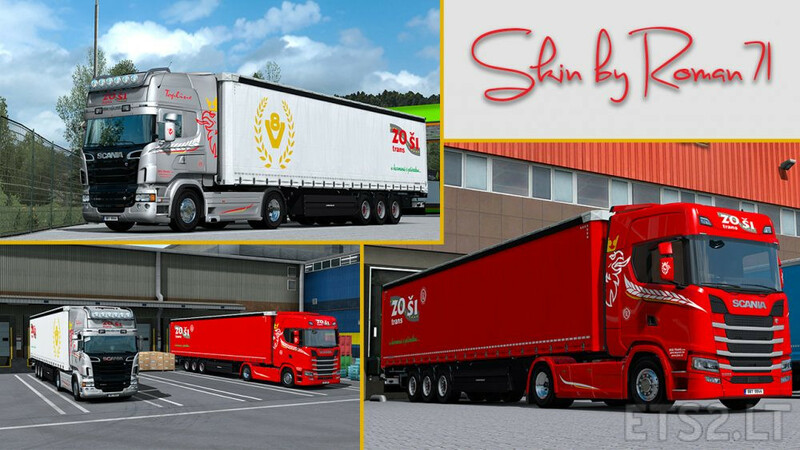 New skins for Scania RJL and S New Generation from company ZoŠi Trans. 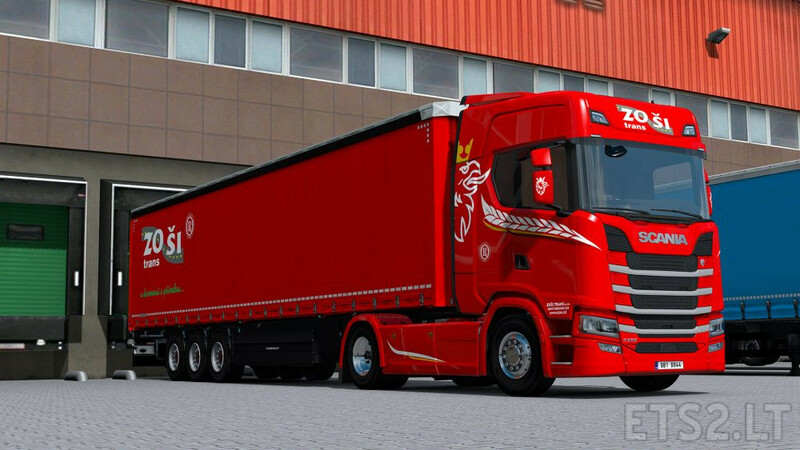 Two trailer skins (silver & red) for Schwarzmueller SPA_3E by MarcDo. Link for school ?? READ!!!! Thanks ! 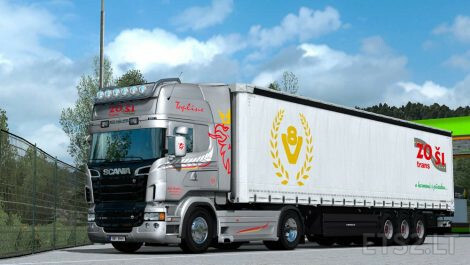 Great Mod for the best 2 Scania’s ! !